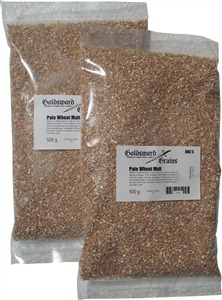 Wheat is a difficult grain to malt as it has no husk to protect the delicate acrospire. It has, however, many beneficial properties of which the brewer may take advantage. It is generally used only in top fermented beers, especially the Bavarian Weissbiers, but can be used to enhance roundness of flavour and head formation in most beer styles.